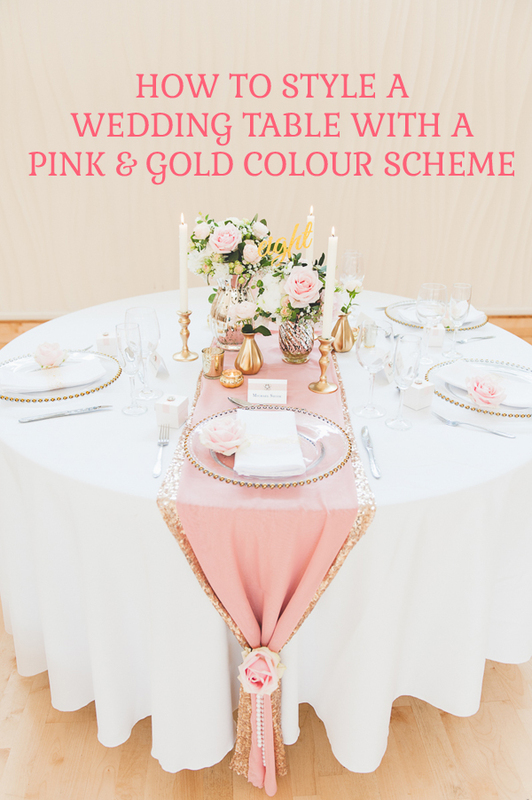 Pink and gold wedding colour schemes are taking the wedding world by storm this year, and we can definitely see why. This divine colour combination is undeniably pretty and I love the subtle touches of glamour. 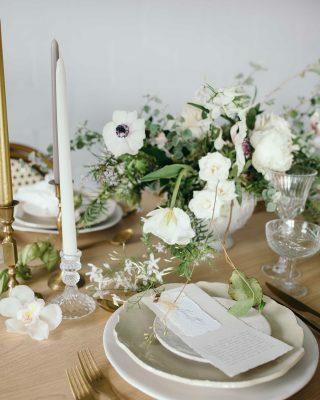 You can easily recreate this wedding table style at any wedding venue, whether you’ve got long trestle tables or round tables. This versatile pink and gold wedding décor can dress up even the simplest of wedding venues. 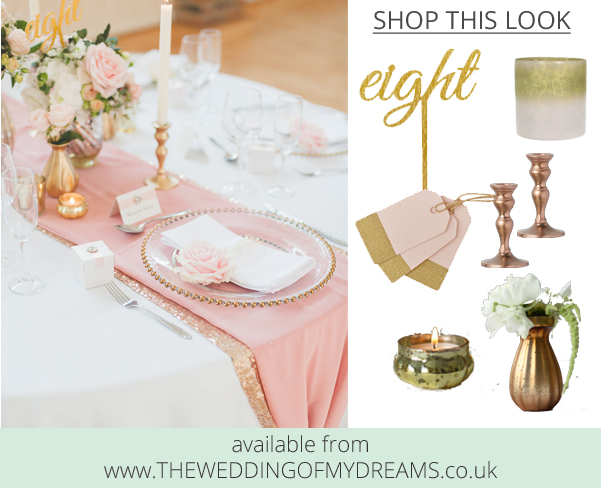 Source a pink table runner with a champagne gold edge – if you can’t find one fear not, simply layer a sequin gold table runner with a pale pink runner. You can either buy or hire table runners, the choice is yours! 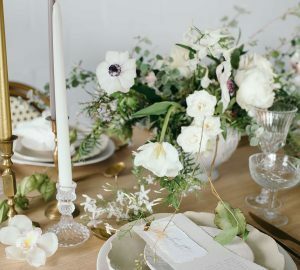 You’ll need table measurements to make sure the runner looks perfect (if you’ve got extended banquet tables, you will obviously need one that is a lot longer). At the end of each table, tie the table runners together with pretty pink blooms. I love the idea of tying them with some delicate pearl beads for an extra dash of luxury. Tying the table runners together helps them to hang beautifully off the table and creates maximum impact. 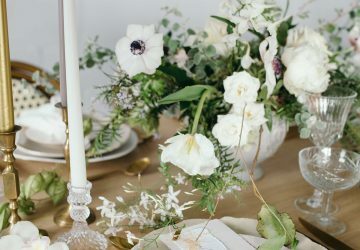 Glass plates and cutlery with gold trimming will be the perfect addition to your pink and gold wedding table. Opt for pale pink wedding stationery to use as place settings and menu choices – golden calligraphy writing will look ultra glam! When it comes to napkins and serviettes, there are tons of options. You could keep it simple and fresh with white, or opt for pretty pink shades. A single pink rose or peony will make each place setting look absolutely divine. Time to talk about the table centrepieces! An assortment of metallic vases and candle holders will look super beautiful as table décor. Copper and antique gold work wonderfully together and will be a gorgeous feature of your tables. Tall candles and little tea lights will create a lovely, warm glow as the evening draws in and it’ll give a romantic ambience to your reception. 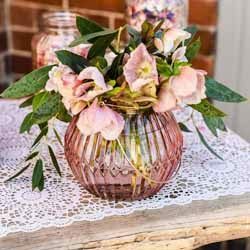 Gold vases brimming with pink blooms and lots of foliage act as elegant wedding table centrepieces. 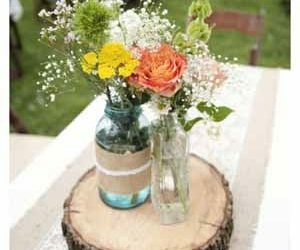 Make sure you use the same flowers throughout your tables and your wedding bouquet for a look that is completely coordinated. Gold wedding table numbers in a calligraphy font are the perfect finishing touch to your table. Your guests are guaranteed to be impressed, and it’ll help your wedding reception tie in together beautifully. Thank you to SDS Photography for supplying the images. For more gold a pink wedding decorations brows our Blush Fairytale collection. Thank you so much for posting this! This is just what I needed for my bridal shower. What fabric is the pink table runner? Is it linen? 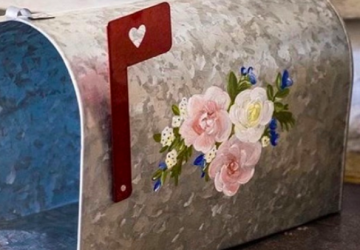 Hi Stephanie – yes it’s pink linen with gold sequin edging. Thank you so much for your reply! I’m in the process of trying to re-create this exact look. How wide is the gold runner vs the pink runner? Hi – I would say the gold runner is about 5cm width each side of the pink runner. Table runners are usually 40cm in width in total. So I would recommend the pink runner at 30cm with 5cm of gold edging each side. Where did you purchase the gold table runner? 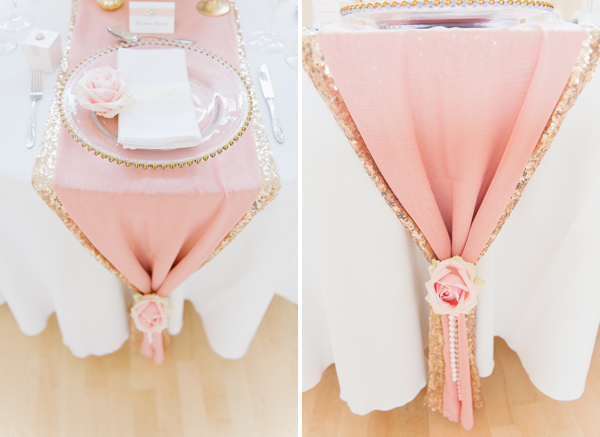 I’m having a hard time finding a gold table runner that is only slightly wider than the pink table runner! 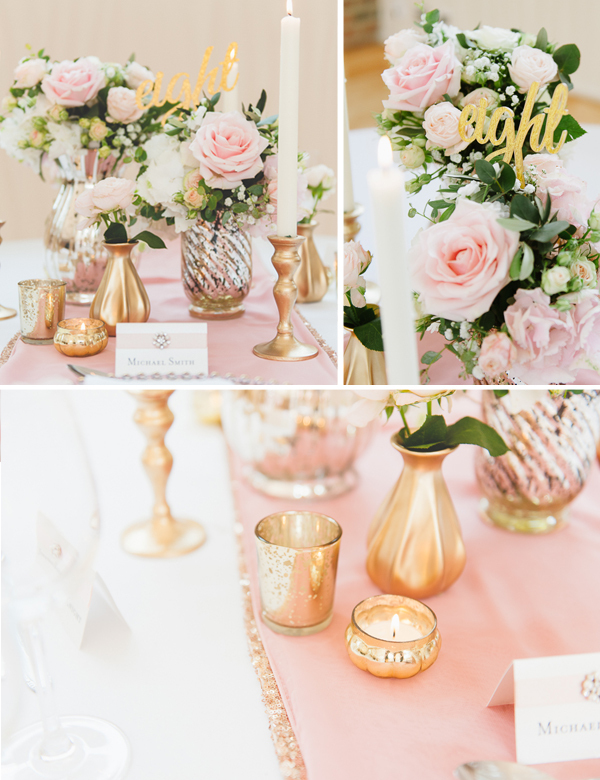 I am looking for the link to find the pink table runner with gold sequis edges . Can you help! Thanks ???? Would a blush linen be the best when using a sequin runner underneath? Or would other materials work as well? Thanks! 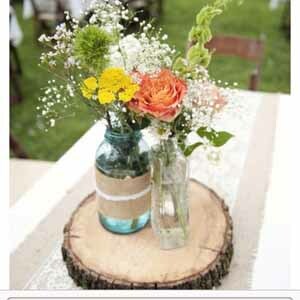 Other materials would work fine, even plain white or cream table cloths from your wedding venue. Where did you get the pretty pink bloom to tie back the runners? 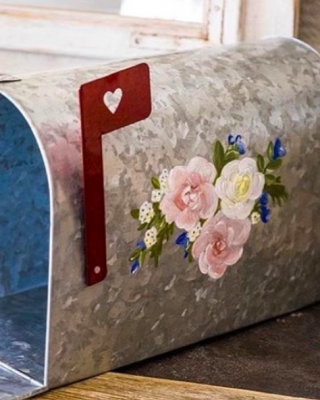 I want to use pink flowers but I can’t seem to find any that has something to tie the runners. These are Sweet Avalanche Roses. I would just love to know where I could buy that runner or one quite similar to it! It would just tie together everything so well for my wedding !! Where can I purchase the runner? Hi all, the pink and gold sequin runner was hand made. Sorry I don’t know anywhere that sell it. Perhaps you could payer some of these together?? Perhaps you could layer some of these together? ?